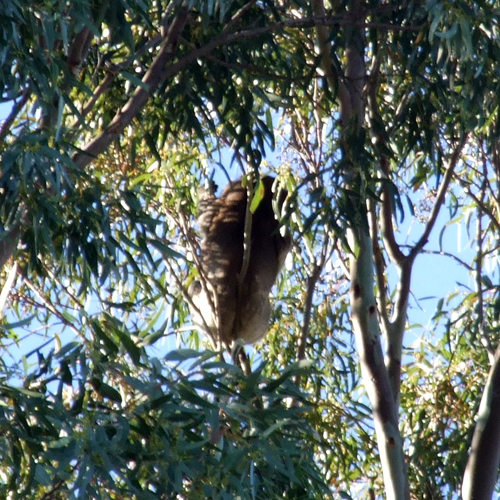 We knew there were koalas in the scrub at the top of our street but this week I spotted one for the first time in a large gum tree near the path that we take to walk to school. 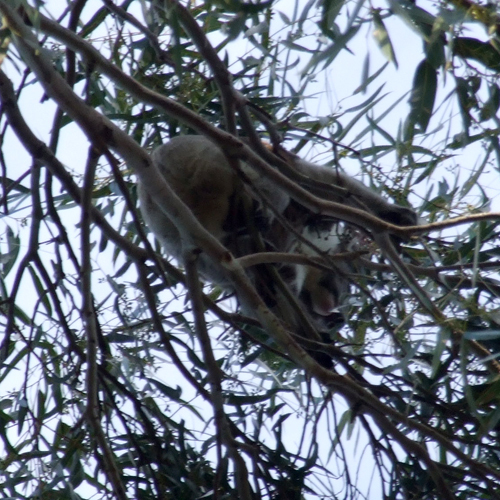 The koala is very elusive and blends into its habitat, unfortunately this one was at the top of the tree so it was really hard to get a photo of him. 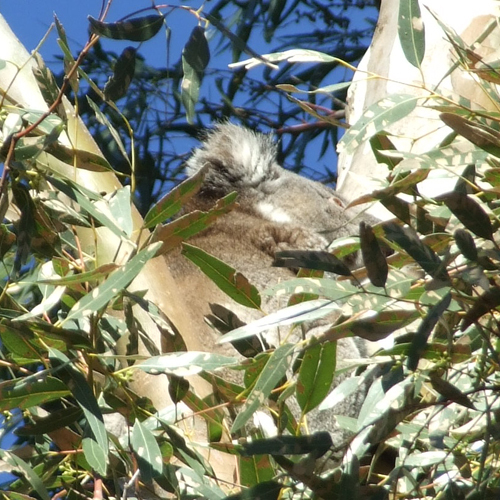 From a distance they look like a big lump on a branch, this one was curled up and sleepy. I checked to see if he was still there later in the day with the boys, he was and he had only moved across a few branches. From underneath you can see his nose and chin. Maybe I will get a better photo next time. Oh my gosh ... watch out, my 5-yr old is packing his bags to come visit!